Follow me on Medium too! Was Pontius Pilate Really A Bad Guy? 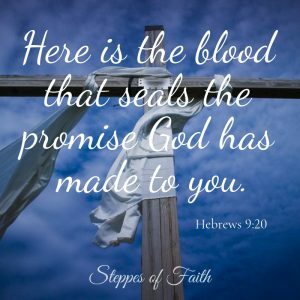 What is the Scarlet Thread in the Bible? Who is the True Lord of Your Life? Where Can You Find God? Is There a Third Heaven? Can You Lose Your Rewards in Heaven? Is All Sin the Same? Understanding Psalm 23: What is the Valley of the Shadow of Death? Understanding Psalm 23: What Do the Staff and Rod Actually Mean? Was Jesus Supposed to be Called Immanuel? Are We Required to Volunteer at Church? Is it Possible to be “Lambs of God”? Was Adam the One Really At Fault? Are We Doomed To Repeat Ourselves? Putting a Biblical Perspective on World History for Your Kids Part 2: Whatever Happened to the Canaanites? Note to Readers: I have not been paid or given any compensation for endorsing Dave Ramsey’s Financial Peace University. My opinion is my own and is based entirely on its amazing success that many people have personally experienced, including right in my own church. I am also not affiliated with Christianbook, but I am affiliated with Amazon, which means if you purchase anything through this website I will receive a small payment for it that will immediately go towards buying my kids new pants and shoes for school and possibly Pokemon cards. What exactly are tithes and offerings? Do I have to give to the church or is it okay to give to my favorite charity? The simple answer is yes and no. Since that doesn’t tell you much, let’s a take a closer look at what the difference is between tithes and offerings and what God says about them. Dedicating your first-born child, particularly if it’s a male, dates to when Pharaoh was resisting letting the Israelites go free in the book of Exodus. If you recall, the Lord commanded ten plagues to afflict every house in Egypt. It was the tenth and last plague that God used to kill every firstborn offspring, whether Egyptian, Israelite, or even livestock. That’s when Pharaoh let God’s people go. While the Israelites were rushing to pack up their stuff, God pulled Moses aside in chapter thirteen to lay down some ground rules. The first was about forever observing the night of the Lord, the night that God’s people were set free. The second rule was to set aside the firstborn child and animal because they were untouched by the tenth plague now that it was over. They were considered special to God. Later in verses 11-16, the rule changes slightly. Only the firstborn males were set aside, then the firstborn animals (including lambs) were sacrificed to redeem the first-born of man in remembrance of the tenth plague. 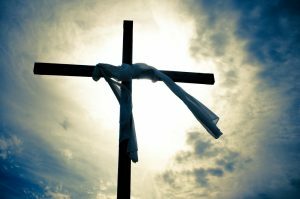 Jesus was the final illustration of this sacrifice for man by becoming the sacrificial Lamb on the cross to bring about the redemption of sin. In Leviticus 27:30, the Lord lays out the rules for tithing a bit more. These verses are the only mention of a particular amount (one-tenth) that God requires for tithing in the entire Bible. Verses 31-33 has some instructions if you’re looking to redeem your tithe, in which case it will end up being about 23% instead of 10%. But most people aren’t going to ask for their money back, right? So, the prevailing amount is 10%. “At the end of every third year, you shall bring out the tithe of your produce of that year and store it up within your gates. And the Levite (the priest), because he has no portion or nor inheritance with you, and the stranger and the fatherless and the widow who are within your gates may come and eat and be satisfied, that the Lord your God may bless you in all the work of your hand which you do.” v.28-29. We are commanded to tithe not only as a way of giving thanks and praise to the Lord for what He has done for us but also so that we can experience His blessing when we are obedient to do it. What’s even better is that the blessing is shared with others because the tithe benefits everyone in the church. Everyone benefits when we tithe. Tithing wasn’t just about whoever was born first. As we were mentioning, it was also about whatever you were farming at the time, so the command was to bring the first 10% of the harvest (the “first fruits”) to the temple. The tithe was a way of saying thanks for what God had provided to you and your family. Makes sense. That was all well and good back in Biblical times, but how does the first fruits idea apply to people today who don’t farm? Not too many of us trade and barter to get what our families need anymore. We’re not trading a goat to get three chickens, right? But we do have jobs (most of us, anyway) that pay us money. Whatever your paycheck is, whenever you get one, that is your “harvest.” The tithe is the first 10% of that paycheck. So, you if were paid $500, $50 of it is due back to the Lord. If 10% is more than your budget can handle right now, then try to commit to, say, 3% or 5%. The point is about making a commitment to the Lord. Over time, you can work up to 10%. Some people have never tithed before, so they’re a little nervous about letting go of their money. This is especially true for people with limited income. Despite our financial struggles, God has warned us that we can’t serve two masters- Him and money (Luke 16:13). We should serve only Him and trust Him with the money. So, if you’re just starting out, try to commit to a certain amount, whatever that may be. Tithing is about your commitment and obedience, not the amount. 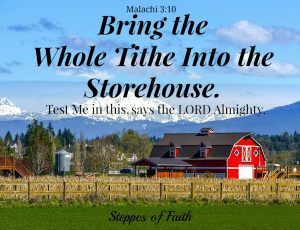 Remember the verse in Malachi 3:10 where God tells us to bring our tithes to the storehouse. And then He says, “Test Me in this…If I will not open for you the windows of heaven and pour out for you such blessing that there will be not room enough to receive it.” This is the only place in the entire Bible where God invites you to test Him. So, go ahead. Test Him and see what happens. All you have to do is commit to a certain amount; then you will see how God will bless you for your obedience. I’ve always tithed 10% even when the bank account was near zero. I believe that’s why I’ve never lacked anything I’ve needed. Now, I don’t always get to enjoy anything I want. Shopping for new clothes is a rare occasion. But I’ve always had what I needed– a roof over my head, food in the fridge, gasoline in the car (not to mention the car), and enough laundry detergent for my family of five. That’s the proof of God’s provision. And because God is so good, we even get to go out to eat once in a while. 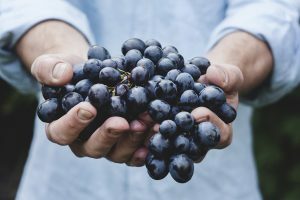 Be aware that the Lord commands us to give the first fruits. Not the last. In other words, before you spend a dime of it on anything, whether household bills or going to the movies, you should tithe 10% to the Lord. I would highly advise getting in the habit of setting it aside as soon as you’re paid or else Satan will tempt you to spend it. He’ll trick you into thinking that it’s okay to go to the movies because there will still be money left over to pay the tithe. No harm, right? Then, before you know it, you’ve bought popcorn and soda for the whole family and then decided to go out to dinner because no one feels like cooking. You’ll probably have a great time, and that’s wonderful, but you’ll get to church on Sunday and suddenly realize that your wallet is empty. Then you’ll figure out that Satan struck again. That’s not good. Get into the habit of setting the tithe aside as soon as you get paid so you can avoid Satan’s trap. Check with your church to see if they have automatic withdrawal. It’s a great idea for anyone who gets paid a regular amount each week or month. If you have a variable income (like me), then you’ll need to be regularly intentional about tithing. I love the budget structure that Dave Ramsey’s Financial Peace University teaches: “Give- Save- Spend.” Give to the church (tithe and offering) and to your favorite charity if you like (a second offering), then put another 10-20% in savings (pay yourself), then spend the rest on bills. If there’s any money left after all that, then hop in the car and go see the movie. Trust me; you’ll enjoy the movie a lot more knowing that you’re not spending money you don’t have while keeping your tithe prioritized. What Can I Offer…and Who Do I Offer It To? After you tithe, you can make an offering. What’s the difference between the two? Basically, a tithe is a command, and an offering is optional, although highly encouraged. An offering is anything that’s above and beyond the tithe. It can be any amount you wish as long as it doesn’t make you compromise your budget. Give your first offering to the church. Yes, you’ve tithed, but that’s for general assistance for the church to keep their doors open. An offering would be used to support their specific programs. Your offering could be used to keep diapers in the baby care area, to purchase arts and crafts supplies for preschoolers, to help put on the summer VBS curriculum, to support local and overseas missions, or to buy food for the soup kitchen. These are all necessary things that the church does to support the body of Christ itself while still reaching out to the community. If you’re still able, your second offering can be given to someone outside of the church. Many people “adopt” a child from overseas or donate to mission organizations or schools or homeless shelters. You might be wondering if your second offering must be given to a Christian organization. While it would be great if it were Christian-based, it’s not a requirement. 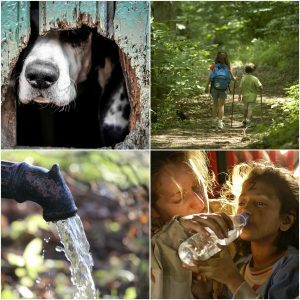 There are many worthy organizations doing amazing work to support people, animals, the environment, and much more. There is need everywhere, so go ahead and give if you like. But do yourself a favor and check that the organization is reputable and accountable. You don’t want to give someone your credit card only to find out it was all a scam. I like to give to the Humane Society and to a local minister who is trying to raise funds to teach people in developing countries how to become pastors and start their own churches. My husband supports an organization that builds medical clinics, schools, and churches in developing countries. You might have similar organizations where you live. Remember that wherever you sow seed, that’s where you reap a harvest (Galatians 6:7). Give your first offering to the church and then donate to others. Tithing can be a difficult thing to do if you’ve never done it before, but if you truly want to experience God’s blessings, then tithing is an essential part of building your faith in Him. He longs to bless your obedience, so give it a try. After all, He wants you to test Him. Give it a good three to six months before you make any judgments about it. But I’m pretty sure you’ll discover what I have- that it’s more worthwhile than you ever thought possible. That’s the glory of God. Do you tithe regularly? Is it hard to do sometimes? Where have you seen God bless you for your obedience? Please join me in conversation by sharing your comments here. Dave Ramsey is an amazing Christian author and financial planner. His Financial Peace University has helped thousands of people shave, literally, billions of dollars off their debt. If you haven’t taken his class, you can study all of his proven money-saving techniques in his book, “Dave Ramsey’s Complete Guide to Money: The Handbook of Financial Peace University,” where he also covers insurance, mortgage options, marketing, bargain hunting, and, of course, giving. This entry was posted in Faith by Gina. Bookmark the permalink. I’ve always found that when you give, that you get back way more in return. Tithing is so important. Amen, Samantha! So very true. Thanks, Kimi! It is important to give, definitely. That’s what we’re called to do, just as Jesus did. But the church is always the first stop in your giving. If you don’t have a church home, then it’s good to stick with Christian-based organizations who are active in reaching those in need. 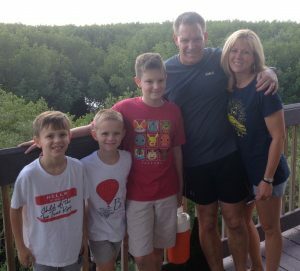 Ten percent is the Biblical standard and expectation, but that’s not always easy for some folks. I believe, as a New Testament Christian, that God looks more at your obedience rather than the dollar amount, but I always give 10% anyway, regardless of what my bank account says. I hope this was encouraging to you. Tithing goes all the way back to Genesis when Abraham was willing to sacrifice Isaac for the Lord. In a financial sense, we read God’s command to tithe in Leviticus 27 with more details given in Numbers 18. First fruit and tithing are the same thing and is the first ten percent of your income. Anything above that is technically called an offering. Your offering of twenty percent I’m sure is blessing your church very much. That’s fantastic! The idea of tithing and offering is a form of worship and thanksgiving, not a platform, to a very generous God. When we are obedient to Him with our tithe, He will bless us. You can see how it can be cyclical– the more we are obedient, the more we can bless Him and the church, then the more He blesses us in return. Thank you for your faithfulness to the Lord. God bless you! I’m so glad you’re here! I’m Gina and I’m excited to share the word of God with you. Sign up for weekly devotions, interesting Christian news, and special offers! You have successfully joined Steppes of Faith. Fly Through the Clouds with Big Red Balloon! 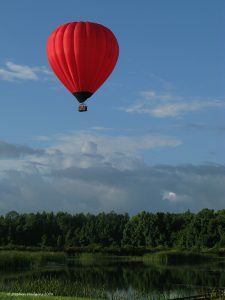 Call (813) 969-1518 or go to www.bigredballoon.com to reserve your flight today! When Did Jesus Eat the Passover Meal? May I Help You Look For Something? Purchase Answers in Genesis’s most popular resources at great sale prices! Answers in Genesis is an apologetics ministry that teaches Christians how to effectively defend their faith and proclaim the Gospel of Jesus Christ. 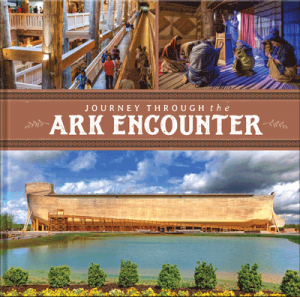 Click Here to Discover all of AIG's Amazing Resources and Shop Today! Are you or someone you care about in need of prayer? Are you in need of someone to agree with you before God? Submit your prayer requests here! Visit Steppes of Faith here too! Copyright © 2019 Steppes of Faith. All Rights Reserved.